The introduction of these sessions came as a result of meetings and discussions about creating a whole school reading culture. Many initiatives were introduced as a result of these meetings: DEAR was just one of them. We were aware that staff may not take too kindly to having their precious teaching time disrupted in this way; however, we were also aware that if students do not read regularly, it has a negative impact on attainment. We decided to use Form time for our first session, as an ‘experiment’ and take it from there. A bell sounded to indicate the start of the DEAR session and we ran around the school with cameras and a video camera, taking pictures and footage of the session. We chose one person at random from the photos and awarded them with a £10 voucher for being ‘caught’ reading. This was awarded publicly and the photos of the ‘Mystery’ students were placed in a gallery outside of the library as well as on the library OPAC software. Once our initial session had been completed, we asked for feedback from staff. Because we had given them and the student plenty of warning, most staff had collected their literacy boxes or brought in extra reading materials for those students who had not brought their own. Staff were surprised at how well their session had gone; some students had complained when the 20 minutes were over and some staff wanted to carry on reading, too! Other comments received were about behaviour on the corridors at the end of the session; students seemed calmer and were more ready for learning when they went to their first lesson. DEAR had arrived and was there to stay! For our second session, we took the first twenty minutes of a lesson – after the success of our first session, we knew staff would be more receptive to taking 20 minutes of a lesson for reading. Again, with advanced warning, staff were not only prepared, but raring to go. 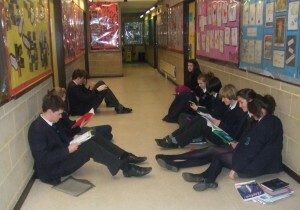 Some staff allowed their students to read for the whole of the lesson! 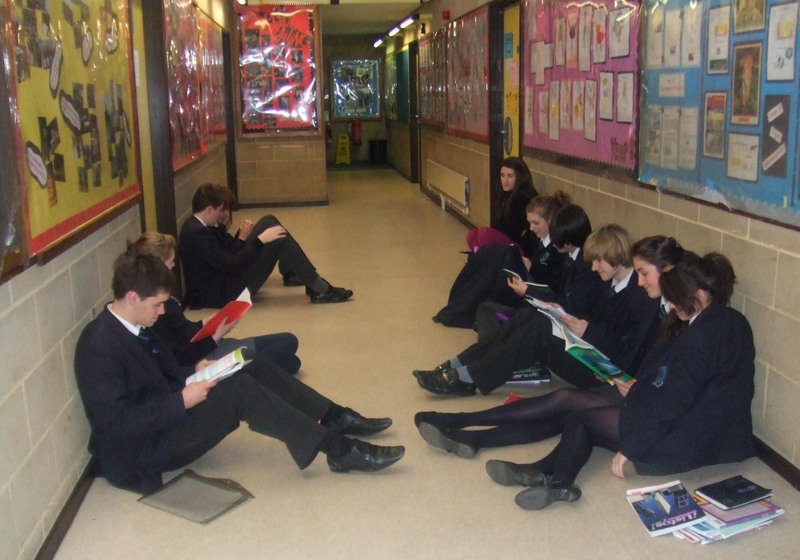 In PE, expressive arts, Reception, the office staff, dining room, everywhere, the whole school stopped and read. Again, feedback was positive, and DEAR now happens at least once a Term at Werneth, with visitors being forewarned to bring in reading material. Combining a DEAR session with a GCR reward was also highly effective. In a school where students were not necessarily happy being seen reading, students, by our third session, were suddenly asking for their photo to be taken and were asking when the next DEAR session would be! DEAR has evolved. We have had DEAW (Drop Everything and Write) for Poetry and then Valentine’s Day and, more recently, DREAM (Drop Everything and Move) where the whole school performed dance and/or drama as part of their lesson. Who knows where it will take us next? Thanks very much for a very stimulating read. I hope to put some of your good ideas into practice soon.